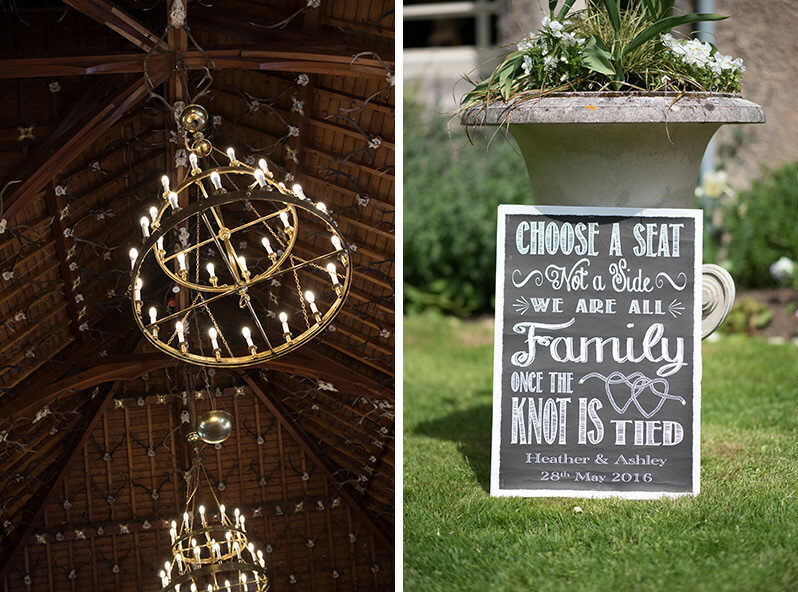 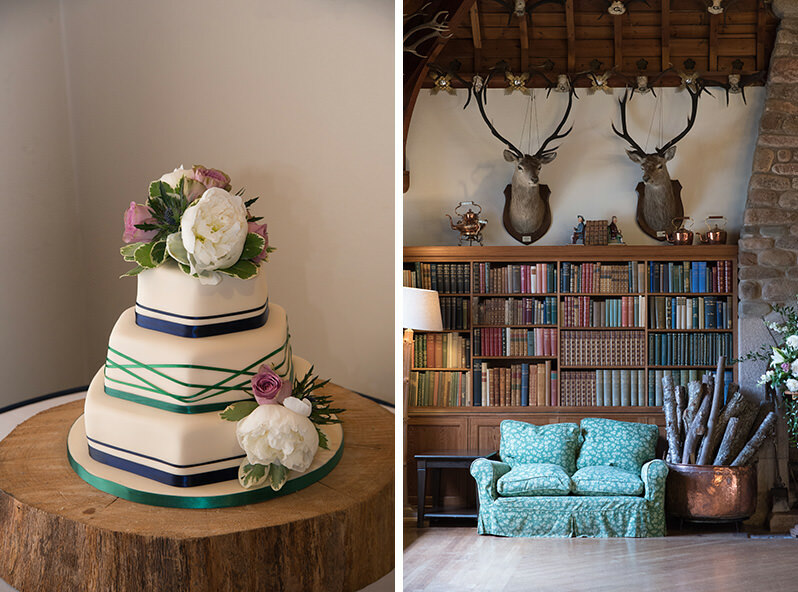 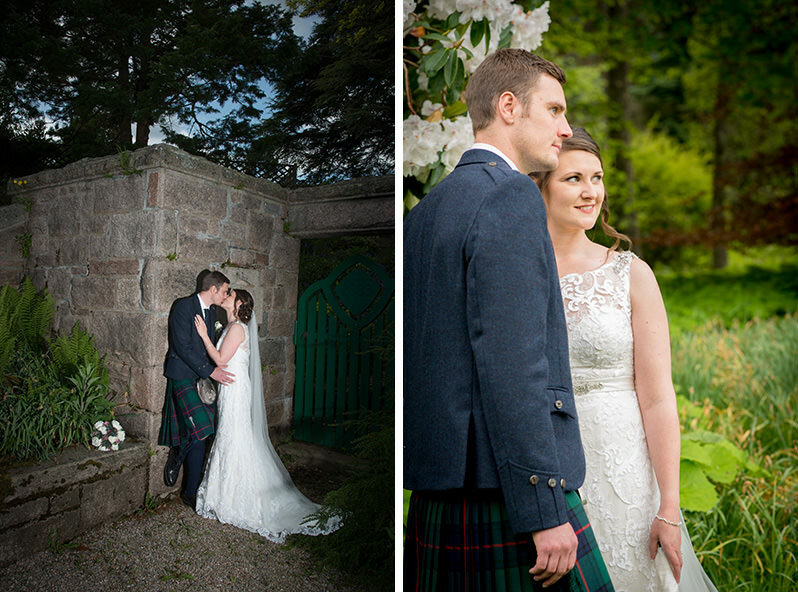 When Heather and Ashley first contacted us about their wedding, we were so excited to hear about their venue, as we’d photographed a Glen Tanar Wedding before and knew how fantastic the place is. 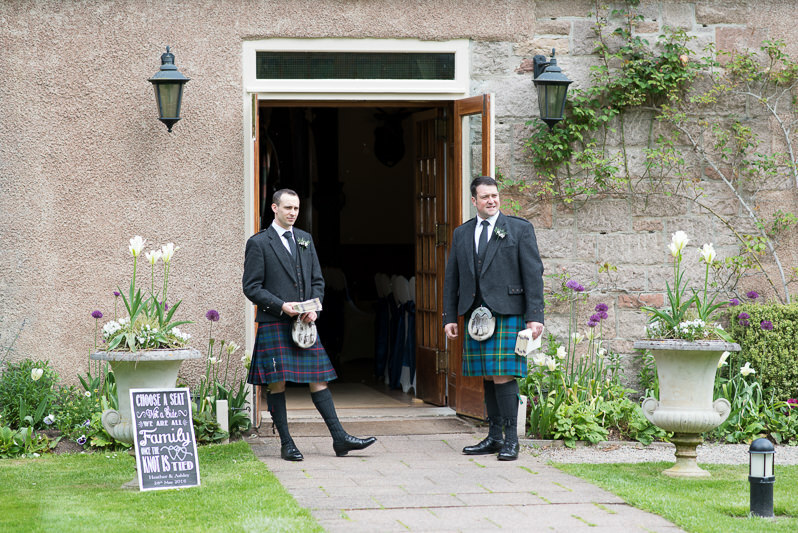 Glen Tanar is a huge area smack dabb in the heart of Royal Deeside that is stunningly beautiful. 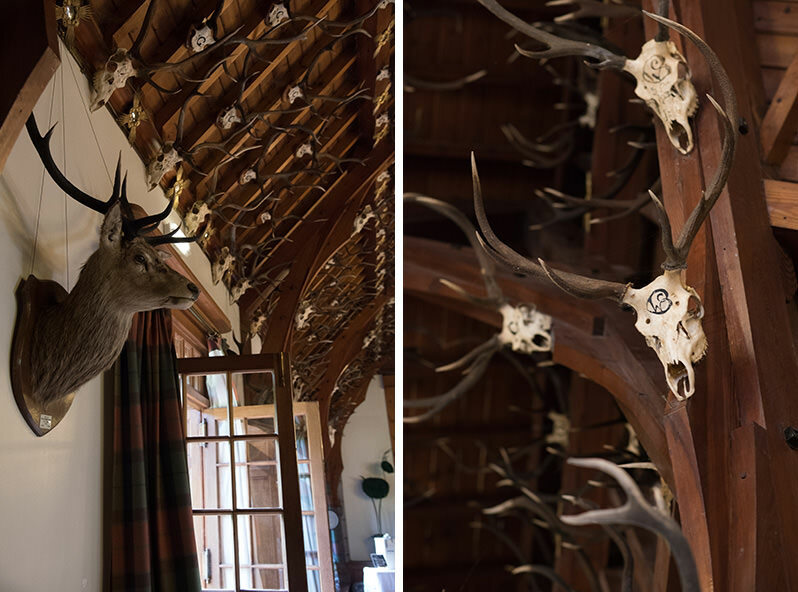 Forests, lochs, streams, this estate has it all. 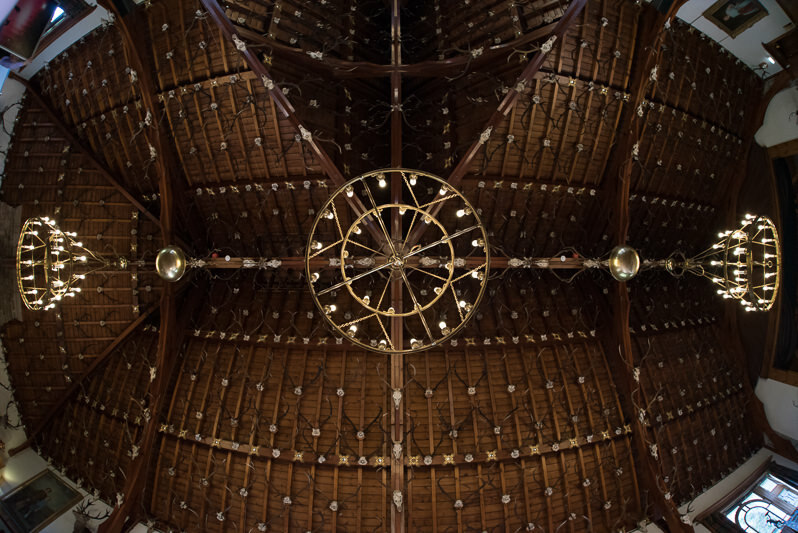 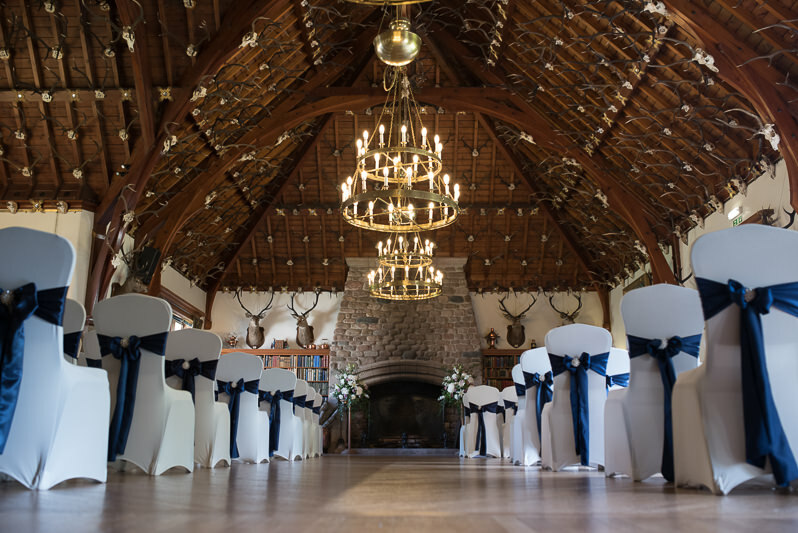 The ballroom is beautiful from top to bottom and features a beamed ceiling adorned with over 600 pairs of antlers. 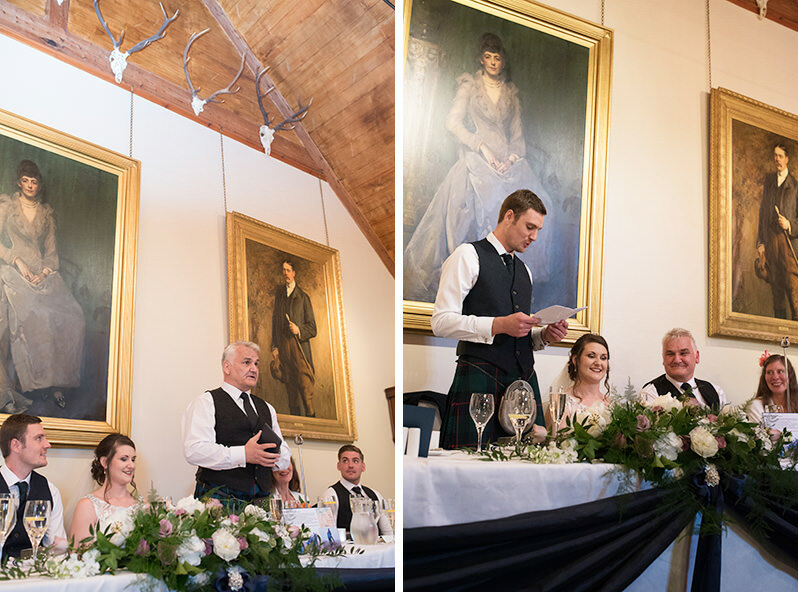 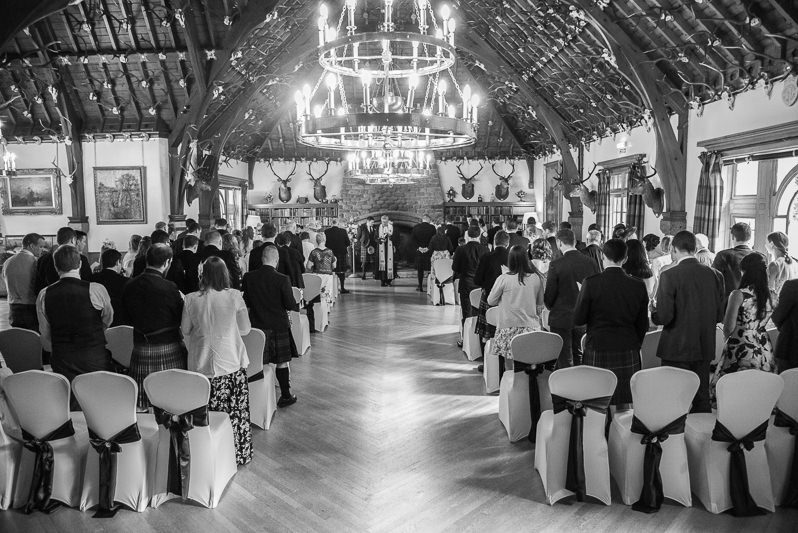 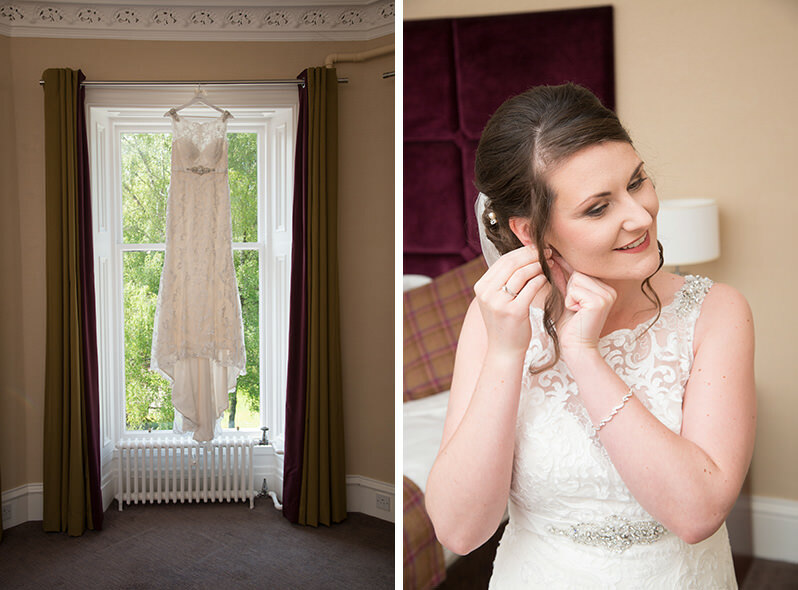 An atmospheric small chapel built in 1872 adds to the romantic Scottish charm of the venue. 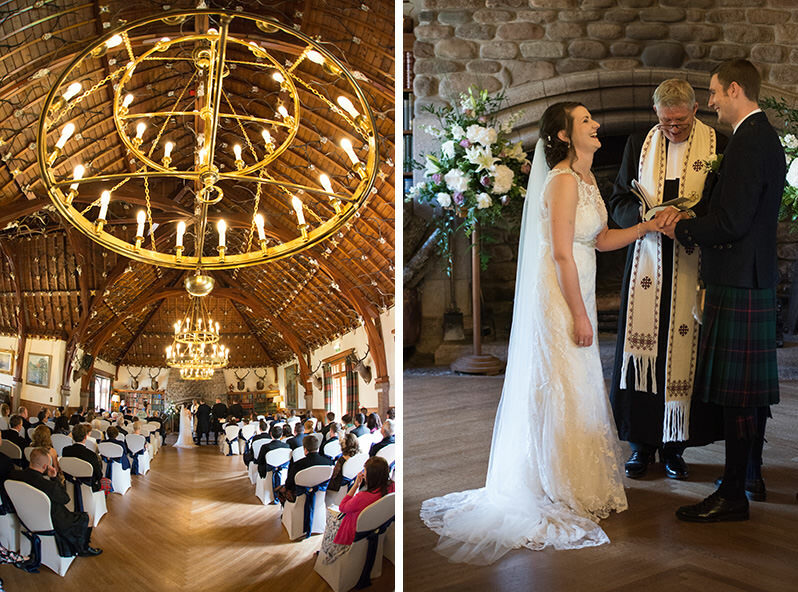 Getting married here is an incredible experience, we’re so chuffed we got to be there for Heather and Ashley’s big adventure. 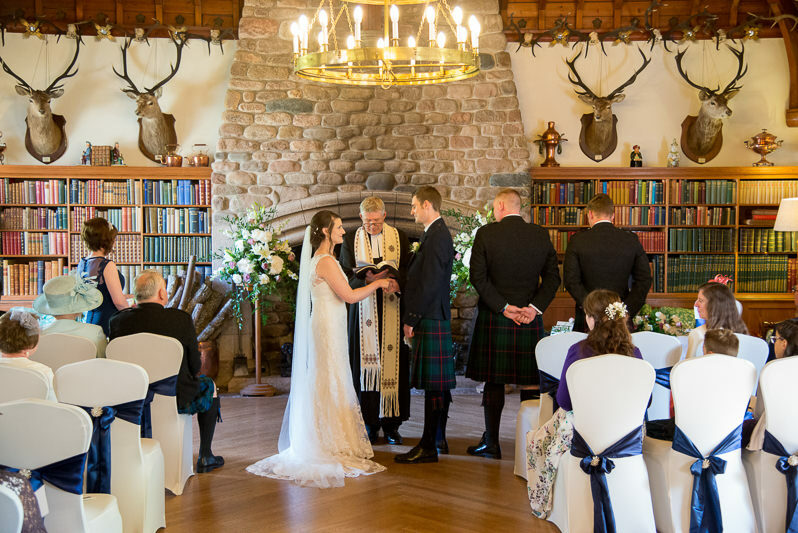 Their wedding was on a beautiful day at the end of May that was kind to us with the weather – very sunny throughout the day with no rainy spells. 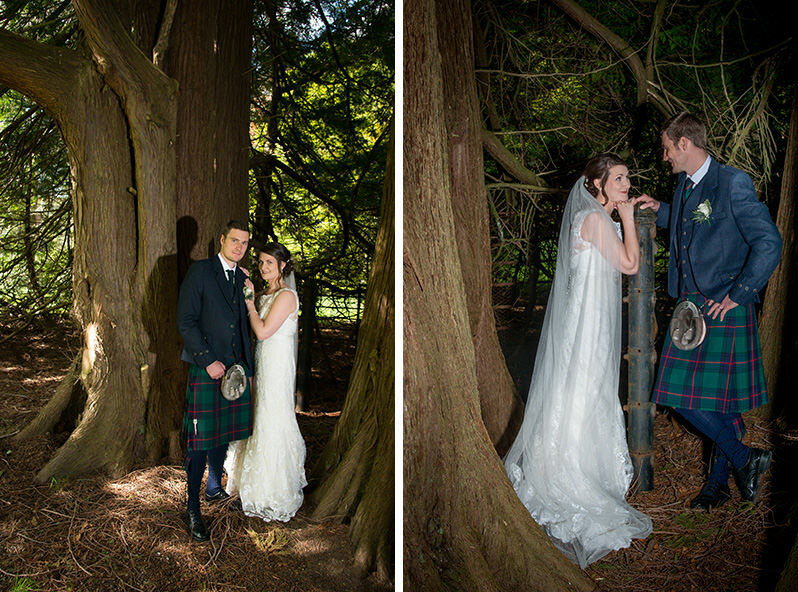 Both bride and groom looked beautiful and were game for both some epic portraits and some fun shots in between. 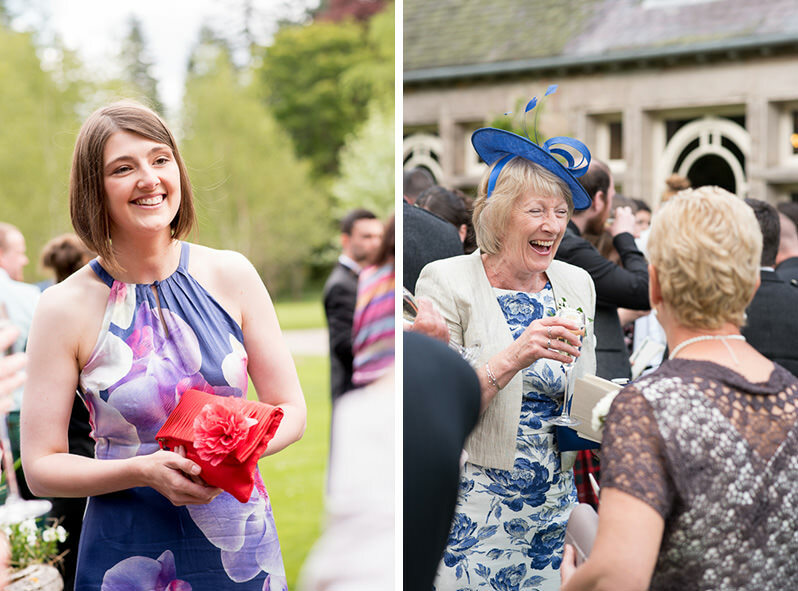 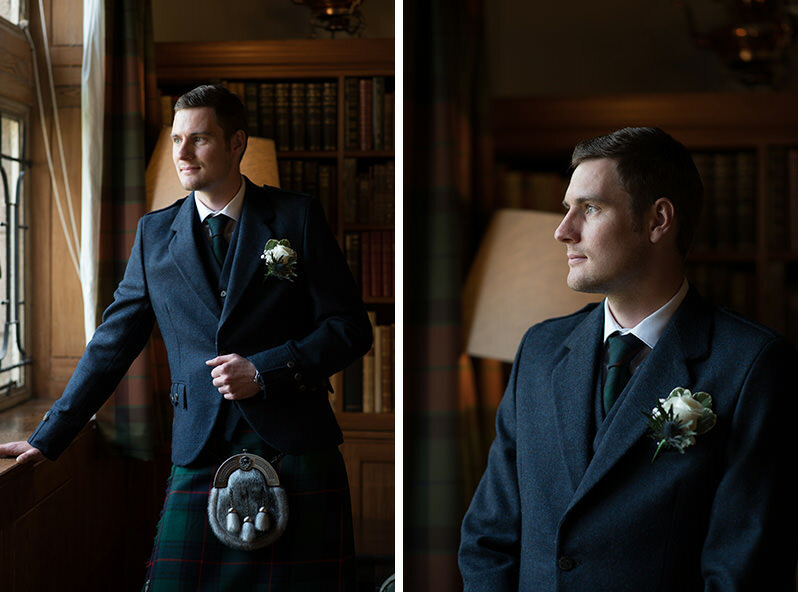 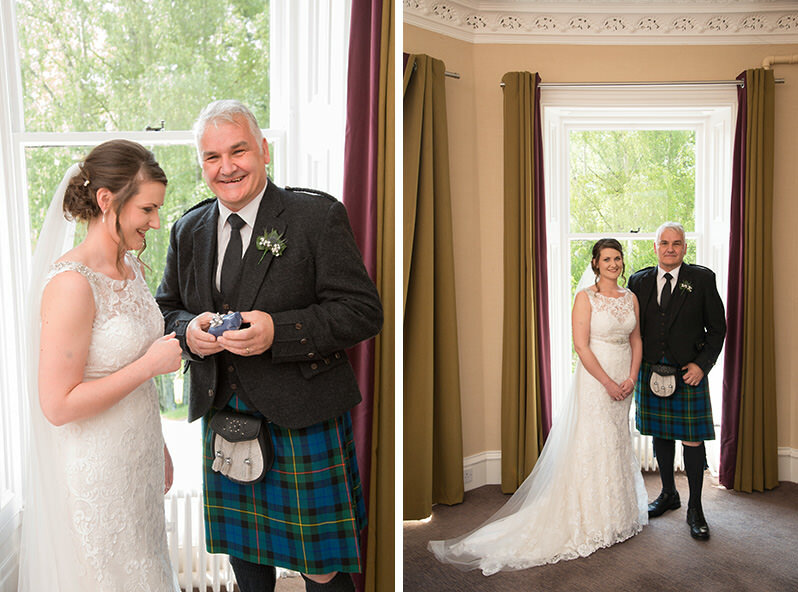 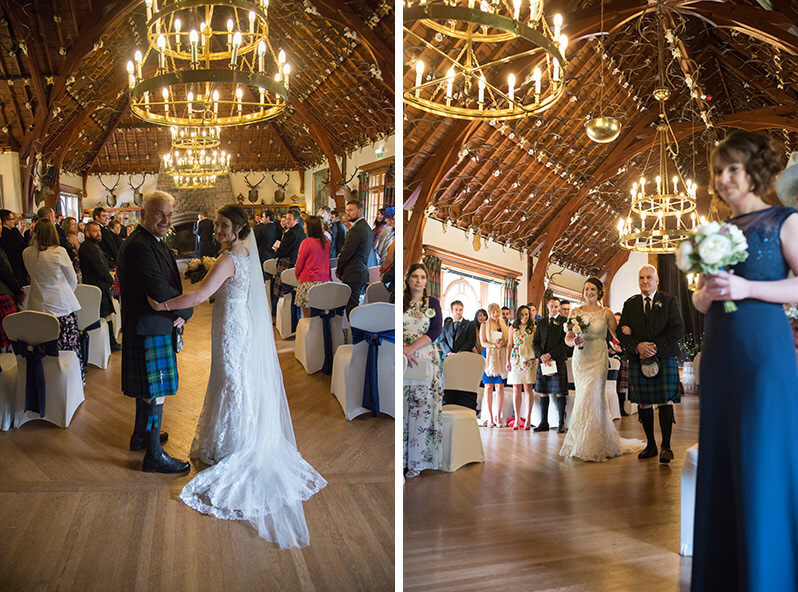 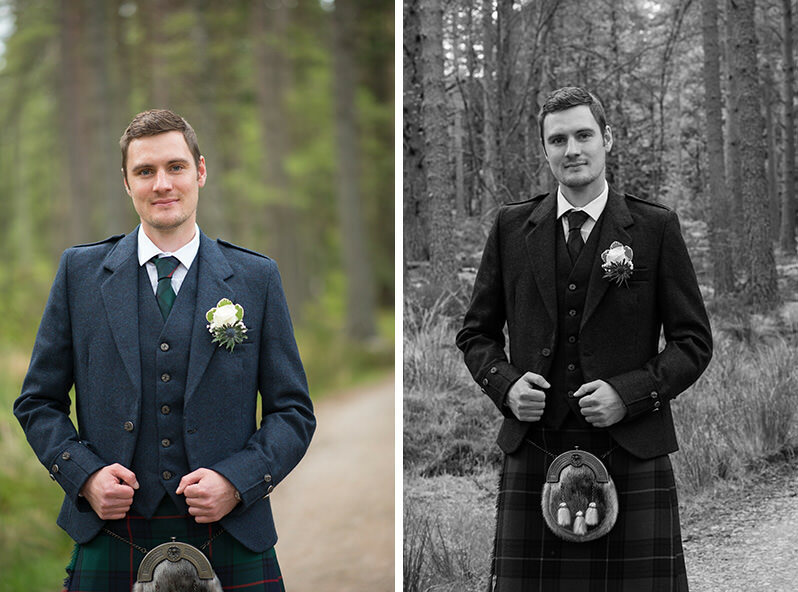 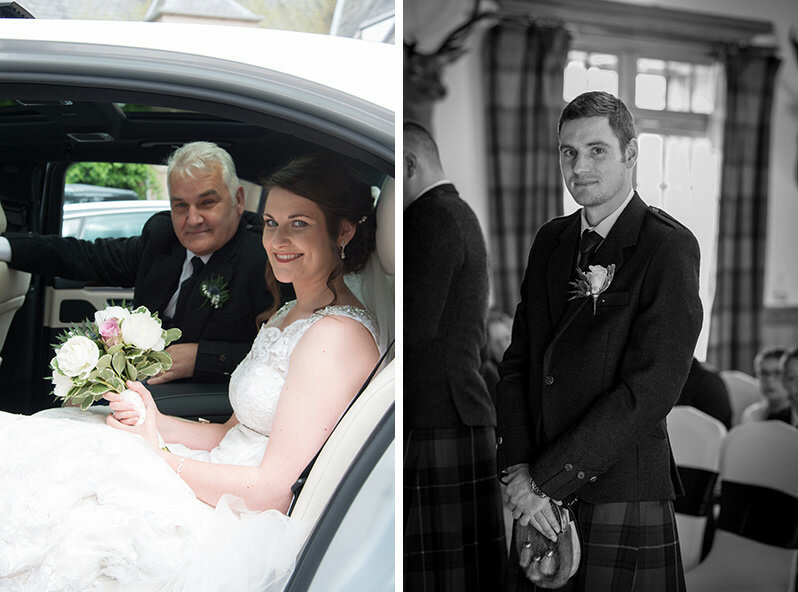 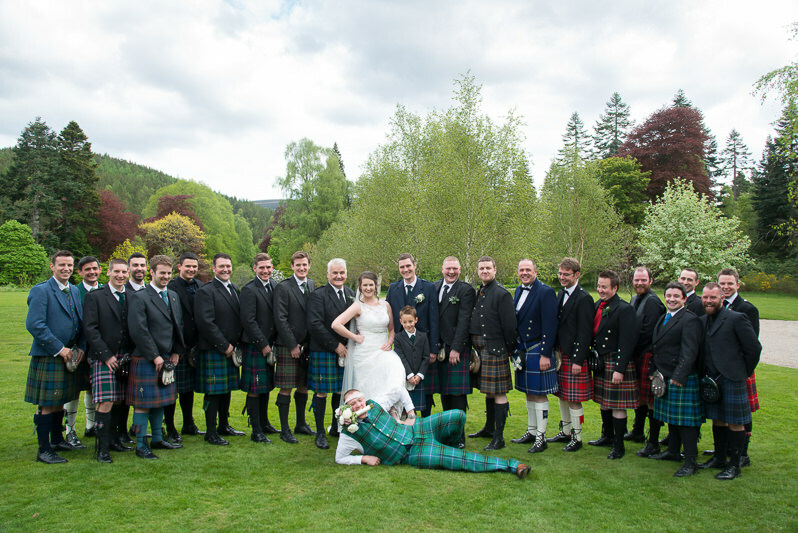 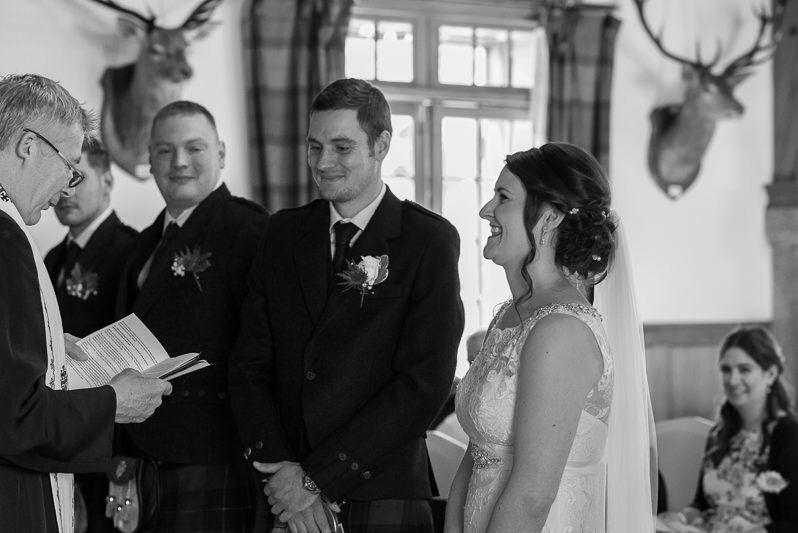 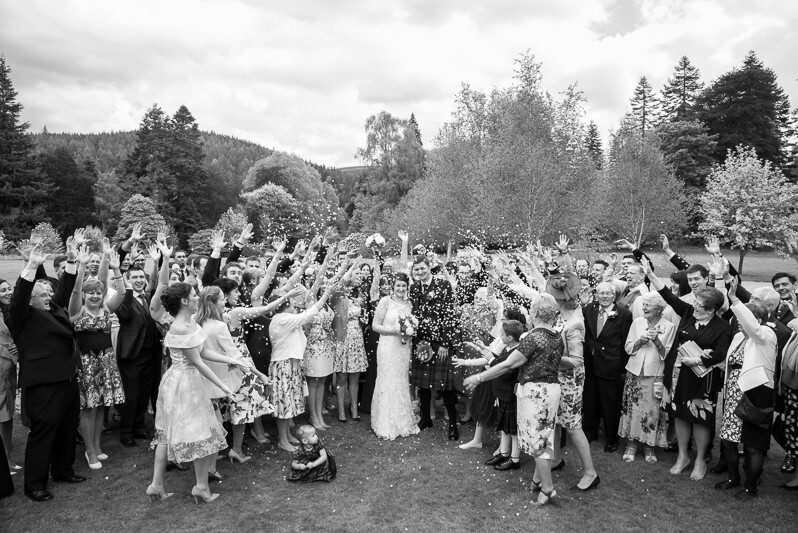 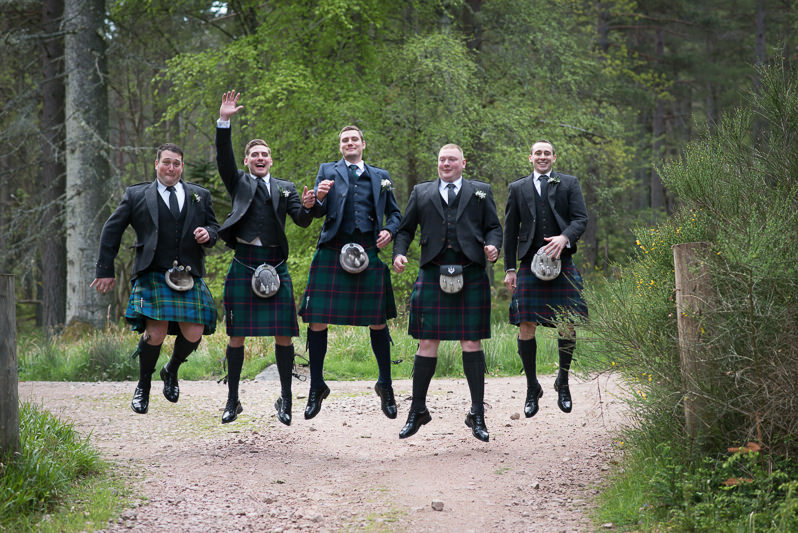 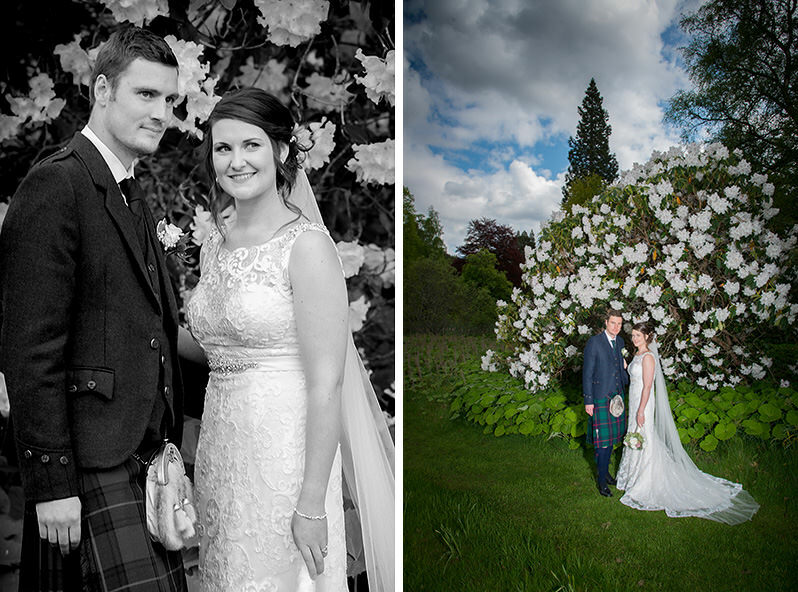 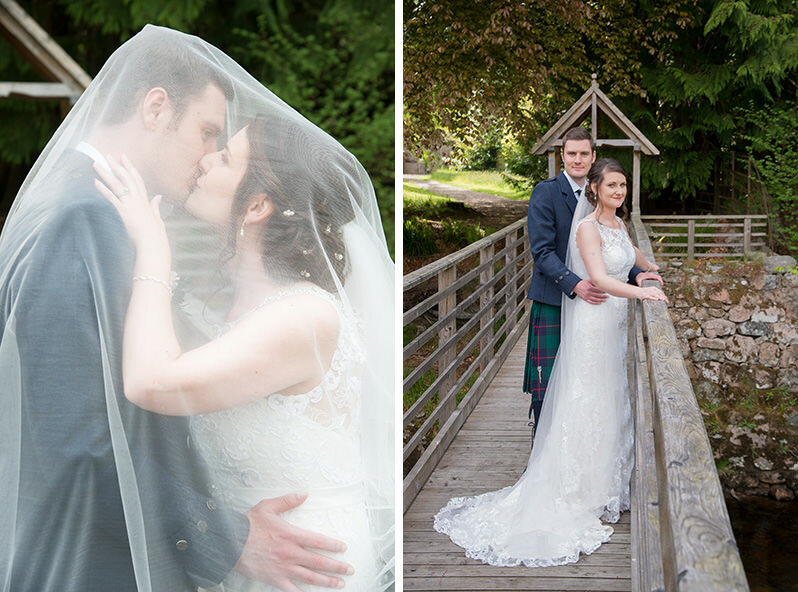 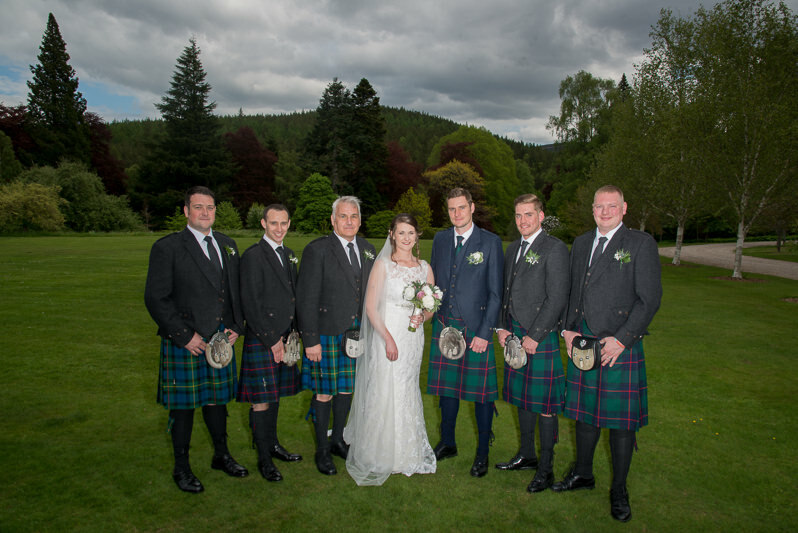 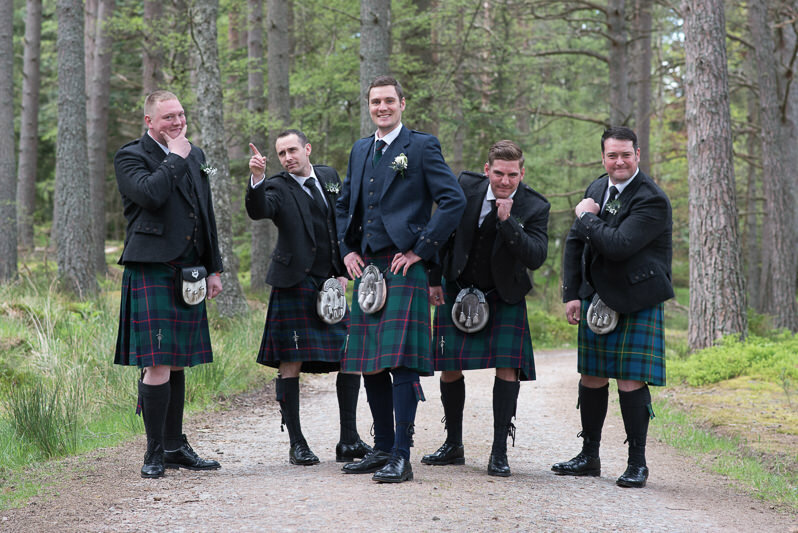 We thoroughly enjoyed their day and can’t wait to go back for another Glen Tanar wedding soon!